It’s like some sort of new twisted fetish! Check out Mouthguard Talk on James Corden above! 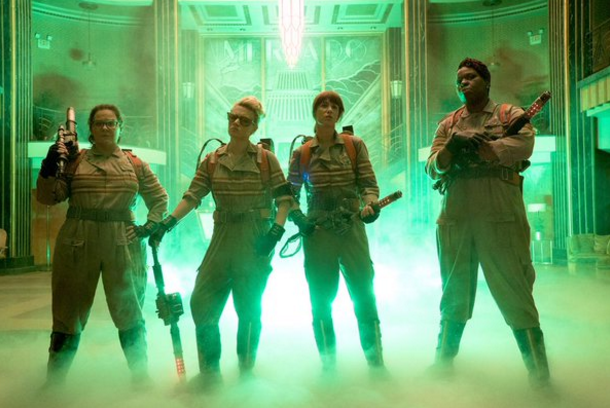 Here’s Melissa McCarthy, Kristen Wiig, Kate McKinnon, and Leslie Jones ready to bust some ectoplasm in the first released image from the new GHOSTBUSTERS reboot! OMG, does Melissa McCarthy have an alibi for Wednesday night?